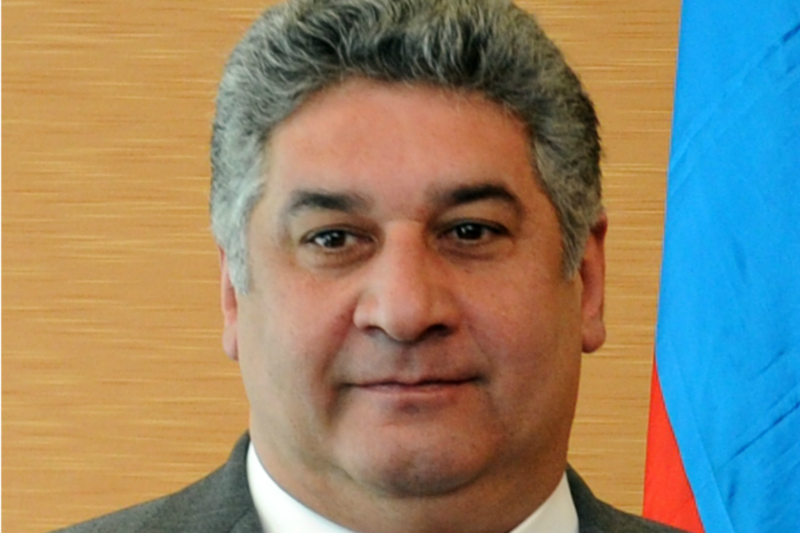 Before becoming the Minister of Youth and Sports of Azerbaijan in 2006, Azad Rahimov worked in the private sector. He spoke to EURACTIV’s Senior Editor Georgi Gotev. The Baku 2015 European Games will be held from 12 to 28 June. Are sports events good PR for the host country? Isn’t this the national goal behind the event? The Baku 2015 European Games are a very good chance to improve our sports infrastructure and to speed up projects we have been planning for a long time. It’s also a chance for our young people to gather experience from a large-scale event. Two and a half years ago, it was very difficult to find 10 young people with ba asic understanding how to organise such an event, Now we have over 1000 young people involved in the Baku games operating committee, who have gained experience, and will be able to promote themselves in different markets, and help organise similar events in different countries. It will be a major chance to show Baku to the world as a European country, as a Muslim, but secular state, as a good bridge between East and West, between the Muslim Orient and the Christian Europe, and to show the beauty of the country, [its] very ancient history, our music, art, food and hospitality. It is very important for a country that gained independence only 23 years ago to position itself on the map of Europe as a European country. Very often the question [is asked] “Where is Azerbaijan?” After the Eurovision song contest [which the country hosted in 2012, after winning in 2011] and after the European Games, most people will know the answer. How about the cost? Azerbaijan is an oil- and gas-rich country. Is it very expensive to organise such games? To organise Olympic games is a pretty expensive project for any country. Sometimes the requirements of the Olympic Federation are very high. As an example, the sport hall hosting the Olympic swimming pool should have a minimum of 15,000 seats. To build such a big sports venue is a very expensive exercise of course. The advantage of Baku is that we are focusing on the existing venues, doing refurbishing work. We are using multifunctional venues, such as the Cristal Hall, which hosted the Eurovision song contest. Now it’s a venue hosting five sports during the European Games. We base ourselves on temporary buildings in the Olympic park, where we host water polo, 3×3 basketball, beach football and beach volleyball. And we also build new buildings. But again, from the point of view of legacy, the three big arenas that were built during the last two years, the Olympic football stadium, the Aquatic centre, and the Shooting Centre, were planned before the idea of the European Games came about. So they were not built for the European Games. [FIFA President] Sepp Blatter and [UEFA President] Michel Platini came to Baku approximately four years ago and paid the first stone of the Olympic Stadium, when the idea of hosting European Games was not in the air. It’s normal that Baku, with its population of 3 million people, would have one high-standard football stadium. The previously biggest stadium was built in 1953. The same is with the gymnastic arena. The building was open in 2014, also before the idea of the games. Or the aquatic centre. We simply need to have in Baku a public pool where the people can come to swim for a cheap price. I have seen a documentary of the present state of many venues built for the Athens summer Olympics of 2004. They haven’t been used since. They look terrible, like a scene in a movie depicting the world after a nuclear holocaust. Is there any danger of anything like this happening in Baku? This question only concerns the three new venues. I’m sure that the Aquatic Centre will be totally full with people and will repay the expenses. It will be similar with the Shooting Centre, which people will be able to use without an entrance fee. The only big risk is the football stadium, because it’s a huge arena. Do you have a budget for the games? There are three budgets actually. There is an infrastructure budget, which includes roads, which are under the control of the Baku city municipality. The second budget is the construction budget. We discussed the venues under construction. The third is the operational budget, which is money specially dedicated to the European Games. It is 960 million manats [€820 million] and I can say with a lot of pride that we are not overspending it. In other experiences with Olympic games, planned budgets have gone out of control. But we will be able to make some savings. I saw some critical articles in the Western press about Azerbaijan paying for the travel of foreign sportsmen to Baku. Is this normal? We are using the model of Olympic Games, which is that the International Olympic committee pays all expenses for sport competitors to come to the games. They are paying for their transport expenses, their accommodation, and their food. We are using the same model. How was the decision to have the games in Baku adopted? When the decision to hold the games was adopted in December 2012, 49 members of the European Olympic committee were represented. The vote was first about holding European games for the first time and second, about hosting the games in Baku. 48 voted, and 38 voted for hosting the games in Baku. Now we have 50 Olympic committees, because last year Kosovo became a member of the International Olympic Committee, and automatically of the European Olympic Committee, and a participant in the European games. Armenia, with whom your country doesn’t have diplomatic relations because of the Nagorno-Karabakh conflict, didn’t vote. But its team is also coming? Yes, Armenia is also coming and Armenian television bought rights to show the games. 50 countries confirmed. Not a single country has ever discussed the possibility of boycotting or not coming to the games. Approximately 6,200 athletes will be coming. 3,000 members of the delegations will be accompanying the athletes. There have been boycotts on Olympic games in the past. What do you think about this politicisation of sports? First of all, I think that sport is not politics and that one should not be pushed unto another. But sport events are attracting the attention of a lot of people. Different organisations, mostly NGOs, are trying to bring attention to certain problems they have identified. This happened not only vis-a-vis Russia in Sochi [in 2014], or with China during the Beijing Olympics  over Tibet. Even in the case of the London Olympics , there were a lot of protests regarding the destruction of buildings, of moving of people from their homes. The process is I would say normal, but the calls to boycott the games are not smart, because the games are a very good [opportunity] to unite the peoples. It’s a festival of the friendship, and it’s a festival of people gathering together. It’s a good promotion of the healthy lifestyle, of sport. I remember Baku after the World Gymnastics championship, when our team won third place. The next morning in front of all (the) sports schools there were big queues of parents together with their children, who wanted to be enlisted. It’s a good promotion of sports, and losing such an opportunity doesn’t seem to be a good idea. We can say we are on schedule. The sport bases are ready, hotels are ready. The only work that is still going on is temporary construction, like the special tents for security-checking, for the generators, and IT technology. This work will continue until the last day, but that’s normal. This is about sports, about sports of high results, about the medals. We are very proud that from the 16 sports that are going to be presented on the European Games, 12 provide the chance to the athletes to obtain qualifications for the Rio de Janeiro Olympic games [in 2106]. So I suggest that when the time comes, [for] people to switch on their TVs. The biggest team will be the Russians? Yes, more than 350 athletes. But for all countries this will be a very good chance to show their strengths, because it’s the top of the top of the career of any athlete to participate in Olympic games, a chance that sometimes happens only once. So it’s not about big or small countries. After Russia, the biggest team will be from the UK, around 200 athletes, so is Germany’s, and ours, because we are hosting the games. But all the other countries will have big teams. The Balkan countries will be represented by teams of some 50 athletes. It is not usual to have so many athletes for the Olympic Games. Can you reveal the secret of the opening show? It will be wonderful, but I cannot reveal the secret. Both the the opening and closing ceremonies will be very interesting. The opening ceremony is mostly dedicated to the country, to [its] history. The closing ceremony will be a very colourful festival. The Sports Minister heavily infers that Azerbaijan screaming about its territorial integrity and lambasting anything Armenian has made little headway on the public relations front, but rather it takes the European Games for people to take notice of Azerbaijan. Let’s hope the Armenian team is not subject to the axe, physically and metaphorically. The Minister tells the truth. I see it’s hard to convince that you’re a part of a nation and state that occupied 20% of Azeri lands and still hasn’t get any penalty for murders and ethnic cleansing in the occupied region. The Minister didn’t say anything along the lines you claim. Did you read the article? He stated that nobody knows where Azerbaijan is — the inference being that even screaming for 20 years about territorial integrity didn’t help — but they will after these games. I suggest more people know about Azerbaijan because of hydrocarbons than anything else. Azerbaijan had nothing against hosting Armenian team at European Games, which in fact shows a tolerance and peaceful intention of the country, despite the fact that Armenian, according to the UN Security Counsil Resolutions committed an act of military occupation of Azerbaijani region – Nagorno Karabakh. You make an interesting point regarding tolerance and peaceful intentions when hosting athletic games. Unfortunately, it is non-sequitur. Another country hosted an athletic event in Europe, in 1936, and we saw what followed. UNSC resolutions apparently don’t mean much when there is either no will to enforce what is resolved or they are simply inaccurate, for example, UNSC resolution 1441: WMD in Iraq. There is not a single UNSC resolution that condemns Armenia regarding Nagorno-Karabakh, NONE. The resolutions in questions are numbers: 822, 853, 874, 884. They ALL refer local Armenians or parties. One of those parties is the Azerbaijan Army. Inaugural European Games in Baku will be a real challenge for athletes among European countries. That’s a brilliant example of the tolerance among all world countries how Azerbaijan hosts Armenia despite the Karabakh conflict. This means that Armenia still is the only reason for the conflict to remain unsolved. Azerbaijan does every possible step for solution of belligerency, but receives not appropriate feedback from Armenia. Christians and Muslims united in sport? Could be entertaining in more ways than one. “that sport is not politics and that one should not be pushed unto another” This is the key message everyone should take into account. I am sure sportsmen will be pleased with the Games. Sportsmen/women yes, spectators not so much. Shia Muslims are world renown for their belligerence.